“FALL” in Love with November’s Promos! | I'm Oil In! ← Embrace Autumn: The October Promo is here! Contact me for more information on the promo or to find out how to join the Young Living Family! 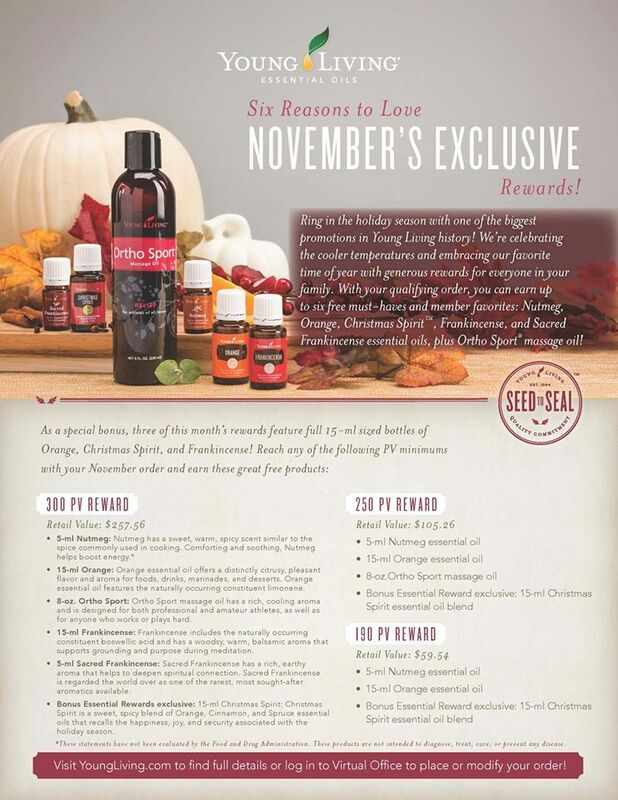 This entry was posted in Monthly Promos and tagged Christmas Spirit EO, Essential Rewards, Frankincense, Free Oils, November Promo, Nutmeg EO, Orange EO, Ortho Sport Massage Oil, Sacred Frankincense. Bookmark the permalink.